Subcommittee on Communications and Technology Chairman Marsha Blackburn (right) announced this morning a series of bills sponsored by Representatives (from left) Mimi Walters, Chris Collins and Adam Kinzinger. Subcommittee on Communications and Technology Chairman Marsha Blackburn (R-TN) announced today a series of bills introduced by members aimed at reducing the regulatory barriers to broadband infrastructure expansion. “Communications Facilities Deployment on Federal Property Act of 2018,” sponsored by Rep. Mimi Walters (R-CA). 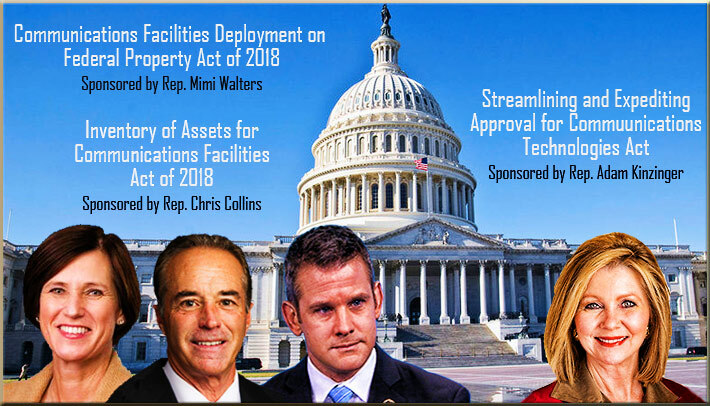 “Inventory of Assets for Communications Facilities Act of 2018,” sponsored by Rep. Chris Collins (R-NY). Requires the General Services Administration (GSA) to coordinate with the National Telecommunications Information Administration (NTIA) to ensure federal agencies include an inventory of assets that can be used to attach or install broadband infrastructure. 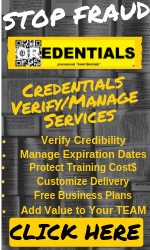 This inventory would be available to communications providers, and include a description of assets, their locations, and a point of contact from each agency for more information on a given asset. “Streamlining and Expediting Approval for Communications Technologies Act,” sponsored by Rep. Adam Kinzinger (R-IL). The bill would require the Senior Real Property Officer of covered agencies to track, record, and report on specified data on the applications to locate or modify communications facilities on covered, federal assets. The data would include the number of applications submitted, the number of applications approved or denied (including the reason for any denial), and the amount of time and money spent by an agency reviewing applications. Each agency’s Senior Real Property Officer would be required to report annually to NTIA on its progress, and NTIA would report to Congress. President Donald Trump recently signed two executive orders meant to speed tower citing and other use of government land for broadband facilities.